Exile Tibetan poet Bhuchung D. Sonam translated the poem after seeing the above image of the poem on social media. 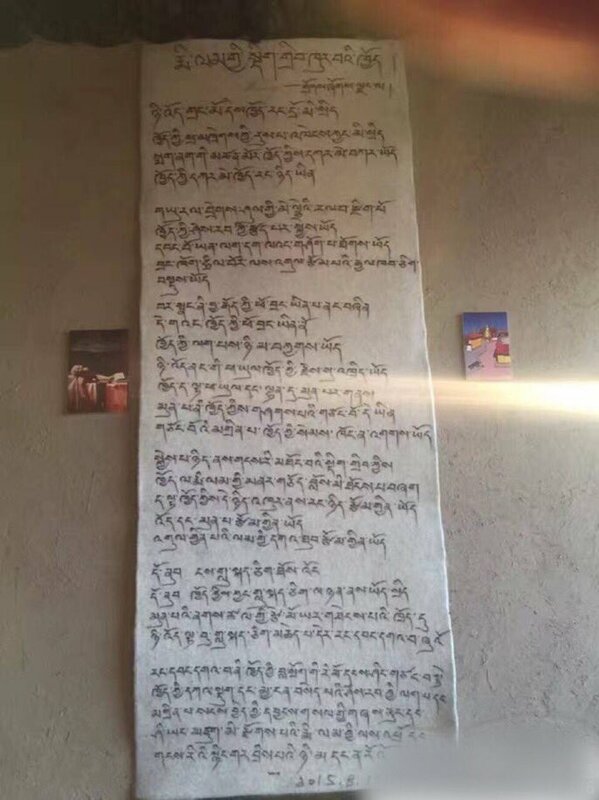 Writer and poet Theurang hand wrote the poem for Shokjang on a piece of felt rug and presented it to Shokjang upon his release from prison on March 19, 2018. 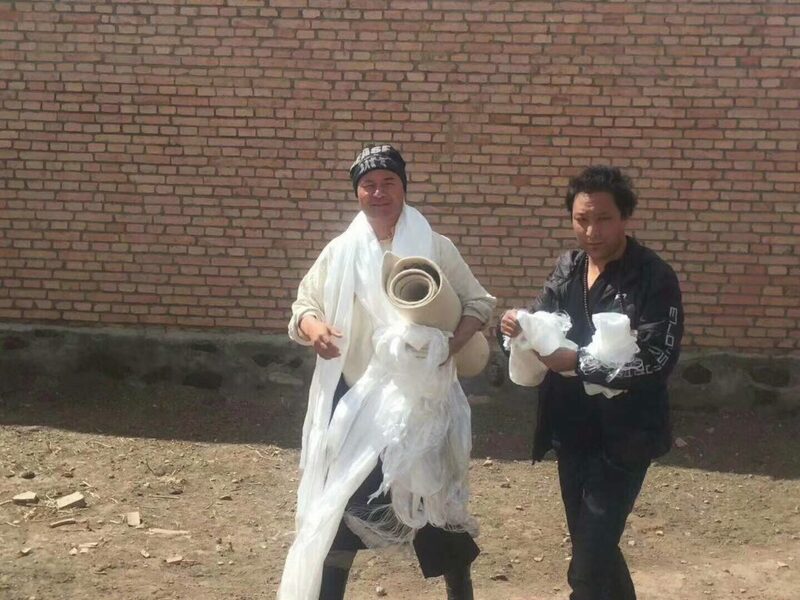 On the first and, to date, only photo of Shokjang after release that was circulated by their friend, Switzerland based Golog Jigme, Shokjang can be seen holding the scroll and Theurang is standing beside him. We were in the same class in college. Initially, we had some online exchanges of views and disagreements. Later, incidentally, we became roommates in college, and then and there, we became very close friends. We helped each other in our works and inspired and encouraged one another in our aspirations. Over the years, we remained friends loyal to each other through thick and thin. I truly hold this friendship in high regard. Shokjang is not only a principled and dependable person; he is also a young, intelligent and spirited mind imbued with many dreams and aspirations. Our heartfelt thanks goes to Bhuchung D. Sonam for the translation. The country in the rays follows your lead. * Rangwang Gawa, meaning “Freedom Loving One”, is the name of Shokjang’s son who was about a year old when Shokjang was arrested. Regarding the caption for the second picture, it is not a sheepskin scroll the poem is written on, but a piece of felt rug (phying pa). I wonder about the cultural significance of felt, and especially white felt. Can you say a word on that? Hi Dan, thanks for your comment. One view is that the white felt represents the purity of their friendship. 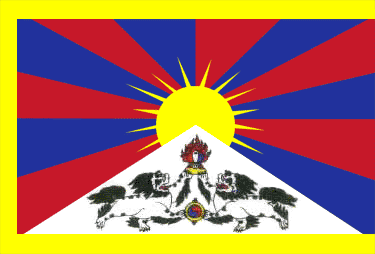 Felt is produced traditionally by Tibetans themselves in that region. Hats, rugs and even chupas are made of felt. HPPE editor.